FuRR works in conjunction with Little Rock Animal Village to provide a low cost clinic. The clinic offers spay/neuter surgery, vaccinations, rabies, and other medical services. FuRR does have an operating grant from the Petco Foundation which allows us to help assist caregivers who have limited funds for Spay/Neuter surgery and the required rabies shot. 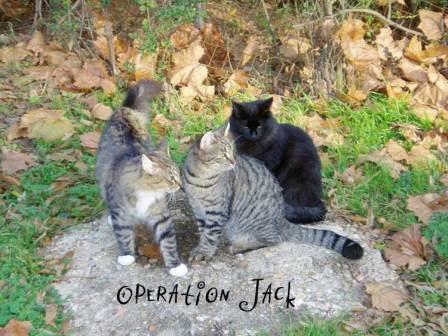 We have participated in "Operation Jack" since the forming of our group in 2007. Our TNR program all started with a shiny black little guy in down town Little Rock on New Years Day 2007. Unlike a traditional TNR program, we spent hours looking through alleys, searching basements, posting flyer, and knocking on doors. We even went as far to crawl under some abandoned houses. 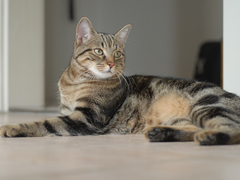 We have a pretty wide range of cats and kitten for you to choose from. All of our adoptable cats have already been vetted, they are current on their vaccines, their rabies shot, and are tested for FIV/FeLV. 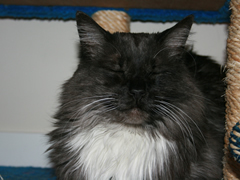 If you have any room in your home to add a loving furry four legged member, please consider adopting a cat from us. We are completely volunteer, non-profit, we are a network of foster homes. The sooner we can adopt a cat out to their furrever home, the faster we can open our home to another cat that needs our help. Learn about how we got started working with the free roaming, feral, and homeless/abandoned cats in the Little Rock area. Jack was our first "feral" rescue, even though he ended up being a 'ghost'. We have grown and expanded over the years from a cat rescue and adoption group, to a focused rescue pointed at reducing the number of unwanted animals in Arkansas. Please take a moment to read about our current efforts. Working with FuRR will give you the chance to make an immediate impact not only in our community, but also in the lives of homeless/abandoned cats. Every event we have is targeted at helping save the lives of cats. Not every volunteer who works with FuRR manages a free roaming (feral) cat colony, but many currently do, or have in the past. We have combined our knowledge together and tried to put it in an FAQ format to help answer our commonly asked questions.